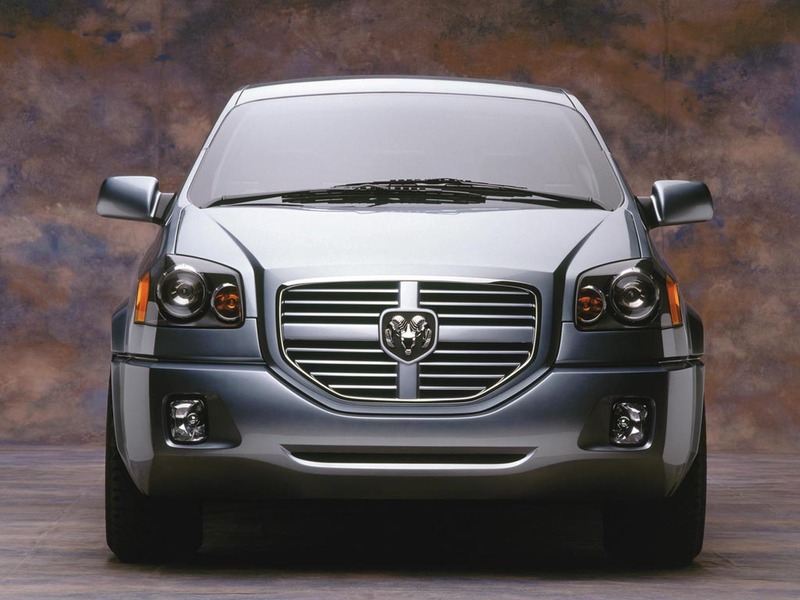 Enter the Dodge MAXXcab concept truck, the world’s first Passenger Priority truck, premiering at the 2000 North American International Auto Show in Detroit. 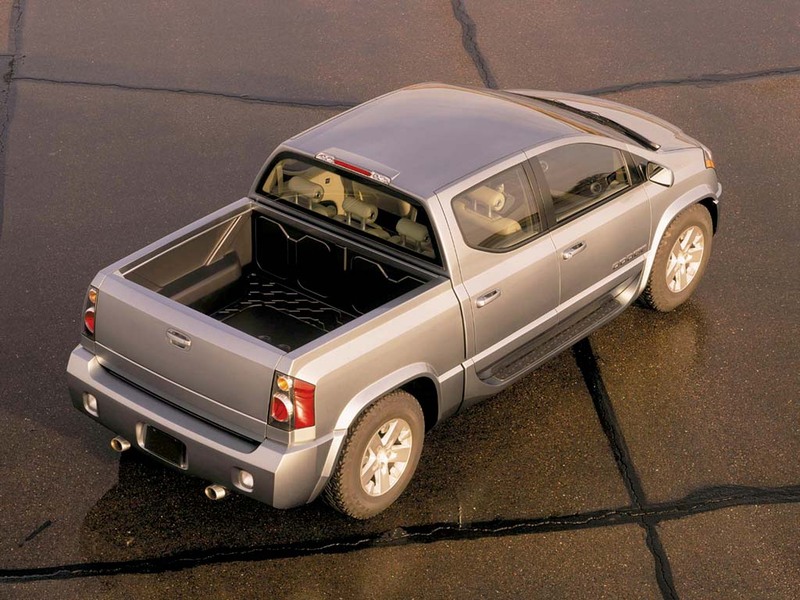 DaimlerChrysler’s Dodge MAXXcab is a true pickup truck – but one with cab-forward design and sedan-like ride, handling, space, comfort and luxury. MAXXcab’s exterior design, with its short front and rear overhangs and cab-forward stance, reflects the appearance of semi-trucks. 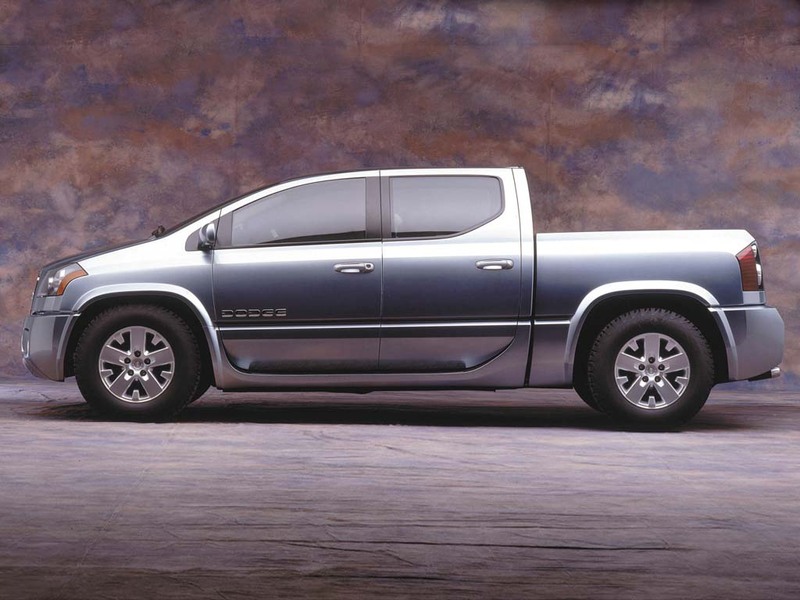 Its high beltline, strong body feature line, tall bumpers and large wheel flares give this concept the bold presence of a cab-over truck. 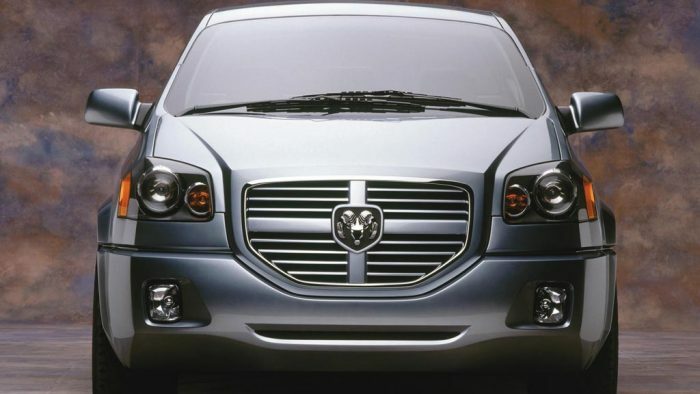 While extremely roomy inside, overall length is just 2.5 inches larger than the Dodge Grand Caravan minivan. 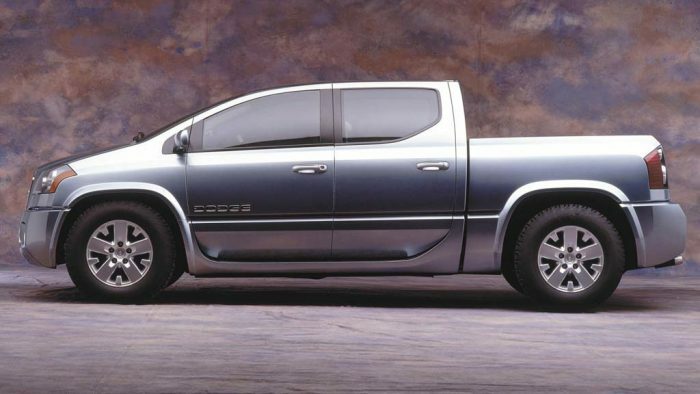 The Dodge MAXXcab concept vehicle doubles as an office-on-wheels or as a mobile daycare center, while still offering a half-ton payload and enough bedspace for weekend projects and hobby-equipment. 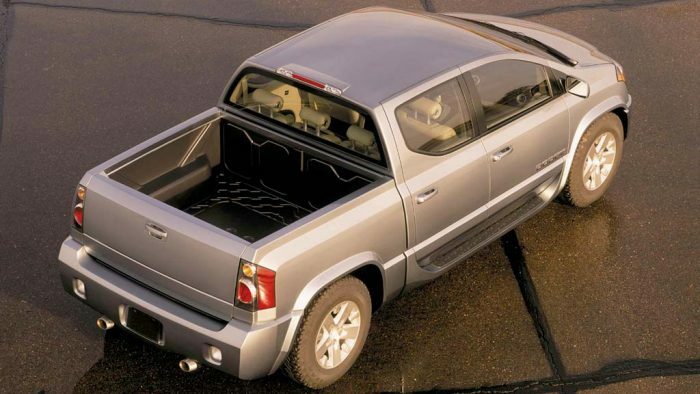 The bed measures 52.7 long by 56.7 wide by 24 deep – wider and deeper than today’s full-size truck boxes – and comes with an integrated picnic table and chairs for the occasional spur-of-the-moment tailgate party. 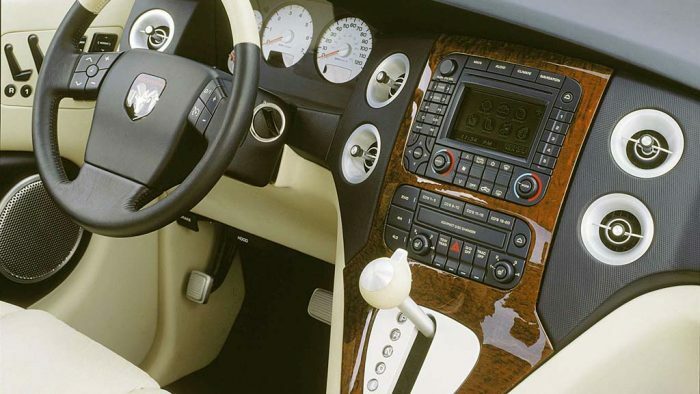 MAXXcab offers a luxurious front cabin with cream pillow-top leather-tailored seats, a sports sedan-style instrument panel with brushed aluminum details and Navy door inserts, adjustable pedals and a child-focused rear cabin. A voice recognition system allows the driver to access the mobile office screens and the Internet for real-time weather updates, traffic information and e-mail. 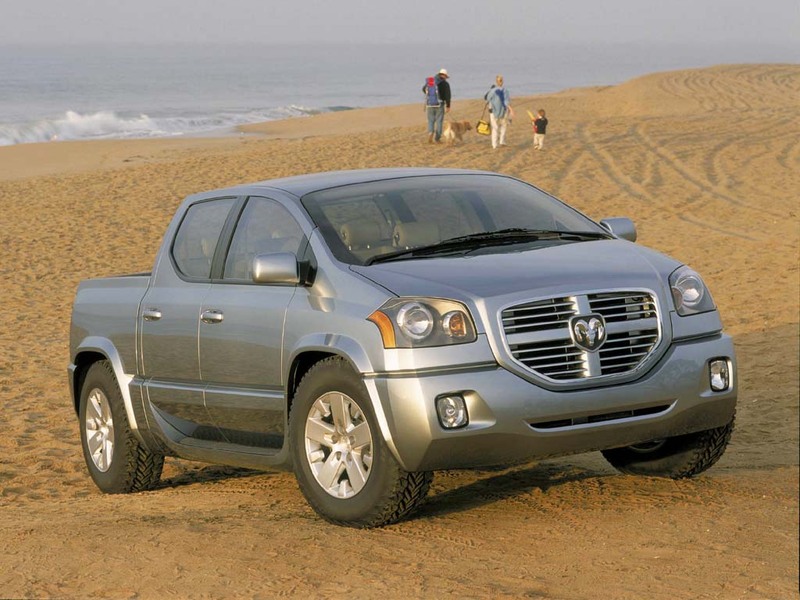 Voice commands also control the vehicle’s navigation and diagnostics systems and telephone. 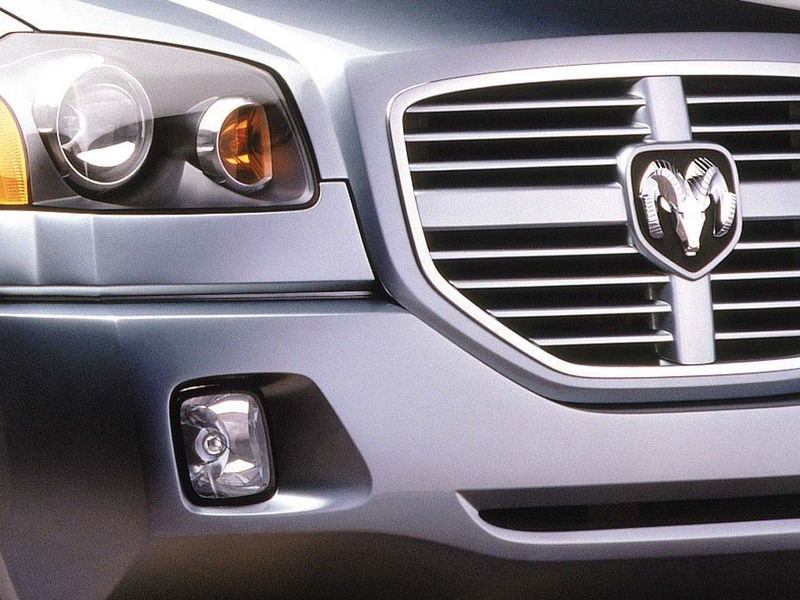 A 4.7-liter Next Generation MagnumÂ® V-8 engine coupled to a multi-speed electronic automatic transmission allows for a sprint to 60 mph in 7.7 seconds, and a top speed of 115 mph.